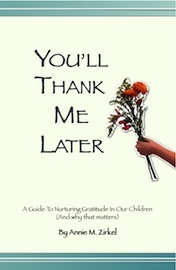 Lack of appreciation and, even worse, a sense of entitlement are huge challenges in the fairly abundant, fast-paced, instant gratification world our children live in every day. The benefits of gratitude are powerful: more optimism, higher life satisfaction, and a real sense of connection to the world that holds you up. But gratefulness needs the right environment to grow.